Florida custom builder Nick Anglada has teamed up with an American baseball player to build this radical Yamaha Cruiser in just one week. 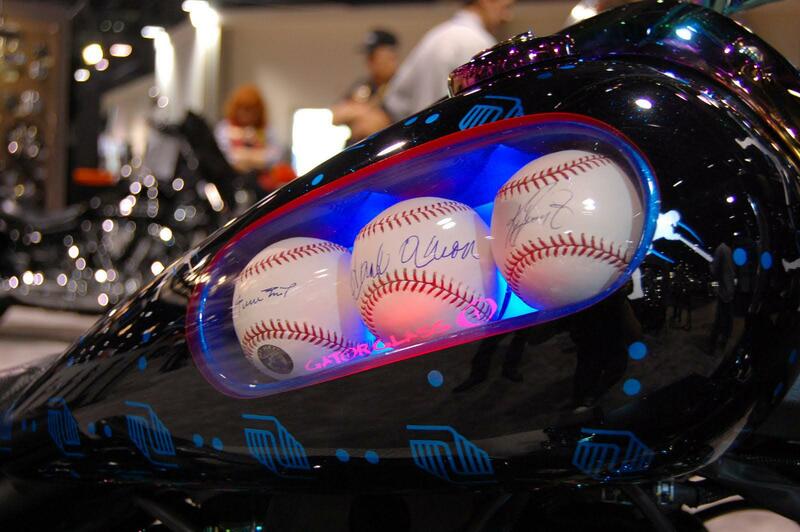 The Yamaha Star cruiser’s most visible change are six signed baseballs hidden inside a see-through panel on the side of the fuel tank. 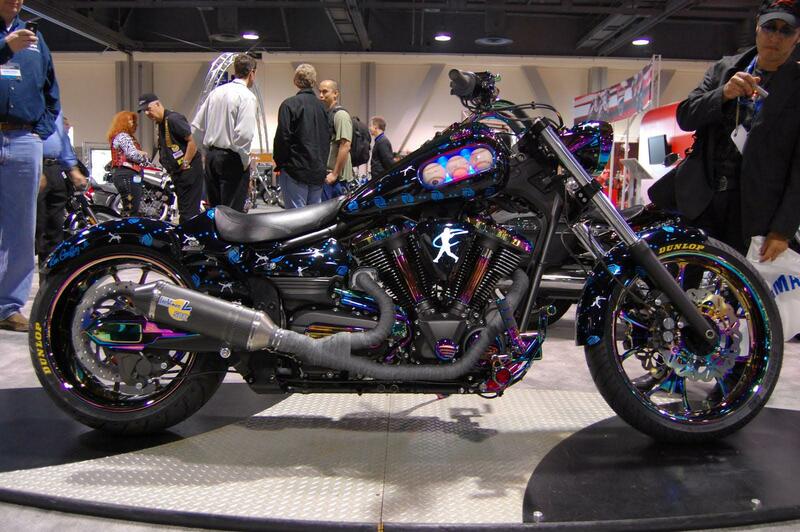 The bike has also got an incredibly expensive vaporised titanium powdercoat finish on many of the metal areas. This finish uses an electric current to plate titanium powder onto the metalwork. The bike will be auctioned off for charity in the New Year and was a collaboration between Anglada and Seattle Mariners Superstar Ken Griffey Junior. Anglada has built some lovely bikes in the past few years including a supermoto-style Suzuki Gladius at the start of the year. This bike was done for Suzuki America and saw big Suzuki RMZ450 forks and supermoto spoked wheels being grafted onto a Gladius frame and engine with wide motocross handlebars.